FFA - SourceHOV’s DramClaim.com stops advertising on Al Jazeera America. SourceHOV’s DramClaim.com has stopped advertising on Al Jazeera America. DramClaims.com recently started advertising on Al Jazeera America. 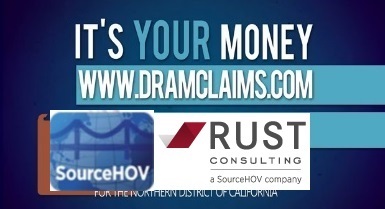 DramClaims.com is registered to Rust Consulting. Rust Consulting is owned by SourceHOV Company. The Florida Family Association office sent several emails to Rust Consulting officials regarding DramClaims.com advertisements on Al Jazeera America. However, the advertisements continued to air on the channel. Florida Family Association sent out an email alert on March 19, 2014 regarding DramClaim.com's advertising that recently started airing on Al Jazeera America. FFA supporters sent thousands of emails to company officials. DramClaims.com advertisements stopped airing on Al Jazeera America on March 24, 2014. A total of one hundred forty eight (148) companies have stopped advertising on Al Jazeera America. Florida Family Association will continue to monitor Al Jazeera America for new and repeat advertisers. Your support of these email campaigns is making a difference. Thank you.